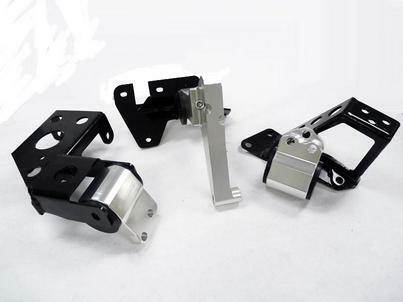 OBX Billet Engine Mount Kits are specifically designed to make engine swap headaches a thing of the past. All the necessary mounts and brackets are included to perform complete drop-in swaps. The kit allows for optimized engine placement for ground clearance and axle angles for optimum drivability on the street or track. The degree rating of the urethane is measured in regards to the stiffness of the bushing for the perfect ride quality. Available for K-series engine swaps for Acura Integra and Honda Civic.